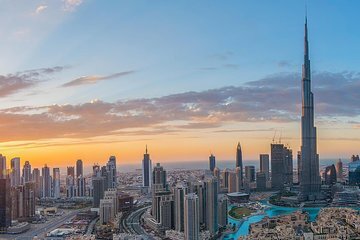 Maximize time in Dubai with a half-day city tour. Learn about the history of Dubai including its background in the pearling industry. Take photographs of the city skyline, explore the spice markets in Deira, and see landmarks like the Jumeirah Mosque. Visit the Dubai Museum at the Al Fahidi Fort. This tour is basically us being picked up from our hotel and dropped off on every location and we had ca. 15 mins to take photos of every location. Our driver is kind and knowledgeable as he does answer our questions about Dubai etc. The gold and spice souks part of the tour we didn't enjoy a lot, as there are sellers almost yanking you to look at their merchandise - here we had also 30 mins. to look around but 10 mins. walking around was enough for us. If you need a quick half day tour and only for photography, I would recommend this tour.